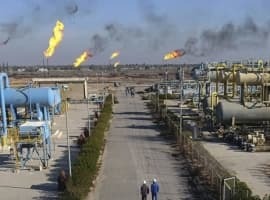 Iraq will be using offshore oil and gas production ventures to boost the war-torn country’s energy reserves, Oil Minister Jabar al-Luaibi’s comments told the press last week, setting off concerns regarding the geopolitical future of the Persian Gulf and its contested fossil fuel wealth. Last week, Baghdad announced a jump in crude inventories from 143 billion barrels to 153 billion barrels, just as the country announced a one percent increase in exports for the month of February, which was caused by activity in Kurdistan – a region over which the central government has little control. Data compiled by Bloomberg show that the Kurdistan Regional Government (KRG) upped its exports by nine percent last month. A quick look at Iraq’s geography will explain why the country lags behind in offshore drilling projects. Unlike neighboring Iran, which enjoys 2,440 kilometers of coastline between its borders on the Caspian Sea and the Persian Gulf, Iraq’s total seashores amount to just 58 km. Still, just those few dozen kilometers could be a boon to the Middle Eastern country’s oil production. The Persian Gulf has proven itself to be a reliable host of easy-to-extract fossil fuel reserves and its largest neighbors – Saudi Arabia, Iraq and Iran – are the top three producers of OPEC. The most notable natural gas formation in the gulf, the South Pars field, is in joint custody between rivals Qatar and Iran. Tehran’s side of the 1800-trillion-cubic-feet find will enter into production by the end of March under the oversight of France’s Total, according to Iranian Oil Minister Bijan Zanganeh. South Pars is the largest natural gas field in the world, so competition regarding its treasures is strong between Qatar and Iran. Brent barrels have jumped up in value after OPEC’s recent agreement, along with 11 non-OPEC countries, to cut output by 1.8 million bpd. 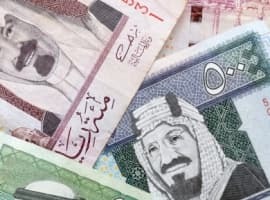 Iraq has been the focus of worry regarding the future of the deal because of its dependence on oil revenues and the costs of keeping the nation’s peace. After much opposition, Baghdad pledged to reduce its daily output by 210,000 barrels per day in November, but it has not yet reached the mark. The addition of new offshore fields to Iraq’s portfolio will provide a more complete picture of the total oil and gas reserves available in the Persian Gulf. 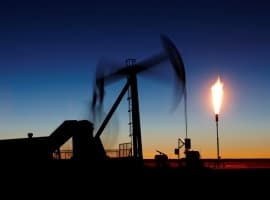 As an inexperienced player in the gulf’s oil geopolitics, it remains to be seen how many of the new finds will remain in Baghdad’s control by the time the reserves are divided up and drilling begins.